When I walk into this space it feels like I have walked into another world. 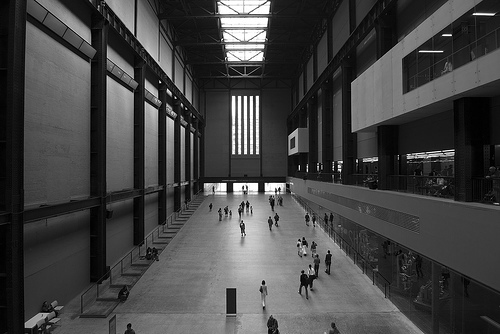 Especially if it is particularly sunny outside, the sudden change into a dark and monumental space makes me feel a sense of peace and anticipation of something great. The scale of the space and sloping gradient of the floor always overwhelms me the way a good space should. I especially enjoy the space has no exhibitions and I can wonder around looking up at the emptiness.